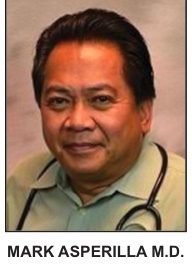 Community and tourism champion Mark O. Asperilla, MD has been selected as the 2018 Charlotte County Tourism Hall of Fame inductee and will be inducted during the annual tourism luncheon on Tuesday, May 10 at 11 a.m. at the Charlotte Harbor Event & Conference Center. The Hall of Fame was established in 2014 to honor those who have had a substantial and long-standing body of work that has positively impacted tourism in Charlotte County. He has also sponsored the Charlotte Harbor Regatta, which formed in 2009. Sugar Bert Boxing will return to Charlotte County on June 2 and 3, 2018. Tickets are now available for a luncheon which will take place May 10 between 11 a.m. and 1 p.m. at the Charlotte Harbor Event & Conference Center, located at 75 Taylor St., Punta Gorda. The cost is $20 per person. Those interested in attending the luncheon can do so by registering online at 2018luncheon.eventbrite.com or by calling (941) 743-1900 no later than May 7, 2018.